Did you know that when the Sandinistas came to power in Nicaragua in 1979 they prosecuted thousands of members of the overthrown Somoza regime for war crimes? When we talk about transitional justice, we usually start from Argentina’s 1983 Trial of the Juntas, or if we’re being fancy, from Greece’s trial of coup leaders in 1975. I’d never heard any mention of trials in Nicaragua, though, and was surprised to learn that between November 1979 and February 1981 the revolutionary government conducted over 6,000 trials of former regime officials. The Somoza family had ruled Nicaragua for over four decades when the Sandinista insurgency erupted into full-scale civil war in 1978. They had maintained their hold on power through control of the National Guard, a military entity created and trained by the United States during its occupation in the early 20th century. As the violence escalated, the regime’s counterrevolutionary tactics encompassed increasing brutality from the Guard, including aerial bombardment of civilian centers, extrajudicial killings, and widespread torture. 7,500 Guardsmen were taken prisoner by the victorious Sandinistas on July 19, 1979. Victims of their abuses called for their heads. The new regime decided against mass murder, but was left with a dilemma. The country’s infrastructure was in tatters as a result of the war, and the devastating 1972 earthquake that had destroyed the capital city, Managua. Judicial capacity was limited and in no way up to the challenge of conducting thousands of trials of former regime officials on top of the normal business of the courts. By decree No. 185, the revolutionary government created nine Special Tribunals to handle these cases outside of the regular judiciary. During their 15 months of operation, these courts sentenced 4,431 former members of the Somoza regime to prison time, acquitted 229, and released a further 1,760 prisoners following dismissals or pardons. The trials were not flawless. Although defendants were afforded the right to counsel, in many cases they were subjected to prolonged detention, convicted on the basis of circumstantial evidence, and judged by lay Tribunal members rather than legal professionals. Nevertheless, the Inter-American Commission on Human Rights concluded that the revolutionary government was “sincere” in its efforts to conduct fair trials. Article 551: Any person who during an international or civil war commits serious acts that violate the international conventions on the use of weapons, treatment of prisoners and other laws on war commits a crime against the international order and shall be punished by 10 to 20 years imprisonment. Why is that crazy? Well, 1979-1981 is smack in the middle of what’s generally thought of as international criminal law’s dormant phase. Things looked pretty good for a little while after the trials of Nazi leaders at Nuremberg, with the 1948 drafting of the Genocide Convention and the 1950 codification of the Nuremberg Principles, but then the Cold War set in. Progress on the development of international criminal law stalled for nearly 50 years. Although the trajectories of international criminal law and transitional justice eventually became tied together, the early examples of successor regimes prosecuting the abuses of the past were all profoundly domestic enterprises. The Trial of the Juntas, for example, tried regime officials on charges of torture, kidnapping, and murder under the Argentine criminal code. As more and more Latin American countries transitioned from authoritarian rule to democracy throughout the 1980s and early 1990s, the abuses of past regimes continued to be treated as violations of domestic criminal law and of states’ obligations under human rights treaties. This did not change until the mid-1990s, when the UN Security Council’s creation of the ad hoc international criminal tribunals for the former Yugoslavia and Rwanda breathed new life into the international justice project. All of which is to say: It’s a bit of a puzzle that, in 1979, a days-old Nicaraguan regime chose to prosecute the losers of a civil war for war crimes. And what’s more, they directly cited international legal precedent, calling it “Nuremberg without the gallows“. I think there’s probably some archival research on this case in my future, but in the meantime, if anyone knows more about these trials, please get in touch. File this one under “studies we hope the abstinence education folks never find out about”: A trial of a text messaging program providing sexual health information to rural Ugandans had the unexpected result of increasing infidelity among the study population. The study’s authors interpret these results to mean that “easing access to this information is not sufficient to induce safer behavior, and may directly or indirectly lead to riskier choices.” Bummer. Apparently, some British people might have accidentally eaten some horse meat, thinking it was beef. This is apparently a Very Big Deal, because British people are civilized and do not eat horses, unlike the barbaric French. And yet somehow, no one on the internet has posted the “All our horses are 100% horse-fed for that double-horse juiced-in goodness” clip from Futurama. Seriously, internet, WTF? Things that Surprise Us, U.K.
I’m pretty sure I just got an email from the future. It’s from Human Rights Watch, and it warns of a potential deadly scourge: killer robots. According to a new HRW report, several of the world’s most advanced militaries are on their way to developing weapons that “would be able to choose and fire on targets without human intervention.” HRW is calling for a pre-emptive ban on fully autonomous weapons, presumably because they know that if we wait until killer robots actually exist, this type of advocacy will only make them mad. I guess it’s time to redirect some of my zombie apocalypse preparations towards the coming killbot menace. No, really. My post-Hurricane Sandy restoration of internet services kicked in just in time to catch the Israeli Defense Forces announcing a major operation against Hamas on Twitter. The IDF accompanied their live-tweeting of “Operation Pillar of Defense” with video posted to YouTube of the initial strike, which killed Hamas military wing commander Ahmed al-Jabari. Over at Foreign Policy, Uri Friedman reports that the video was briefly blocked this morning, after YouTube users flagged its content as a violation of the site’s Community Guidelines, which prohibit “graphic or gratuitous violence.” Users of Twitter have also raised the possibility that some of the IDF’s tweets (like this one) might constitute “specific threats of violence” in violation of the site’s regulations. But the video is back up, and meanwhile, the IDF has kept up a steady stream of tweets and announced Spanish and French language Twitter and Facebook pages, as they battle it out with #GazaUnderAttack for the world’s sympathy. Direct appeals by political actors to the online court of global public opinion are not unprecedented (see, e.g., Kenya Defense Forces vs. Al-Shabaab, Twitter Edition), but this may be something new. The IDF’s initial Twitter posts preceded by several hours the government press conference announcing the operation. That means that a sovereign state chose to communicate a major policy development via online, privately owned platforms (with content restrictions! ), rather than through official channels. I learned today (h/t Peter Dörrie) that Zimbabwe is deploying military personnel to the United Nations Supervision Mission in Syria (UNSMIS). Know what country’s soldiers you’re definitely not picturing when you hear the term “UN peacekeepers”? That’s right, Zimbabwe. I would think this was just another item to be filed under “Confusing Choices Made by the International Community in Handling the Syria Crisis” (see, e.g., sending an accused war criminal to head the Arab League observer mission), but Zimbabwe currently has military personnel in the UN missions to Darfur (UNAMID), Côte d’Ivoire (UNOCI), and Liberia (UNMIL), and police in South Sudan (UNMISS), Timor-Leste (UNMIT), and Liberia. The Zimbabwe Congress of Trade Unions (a major opposition force in Zimbabwe politics) has called on the United Nations to stop using Zimbabwe’s armed forces in its peacekeeping missions on the grounds that their human rights record renders them unfit for service. The army has most recently been accused of abuses against miners in the Marange diamond fields, while the police are alleged to have beaten and tortured civil society activists who viewed a video of the Arab Spring protests in 2011. This is kind of the perfect set-up. 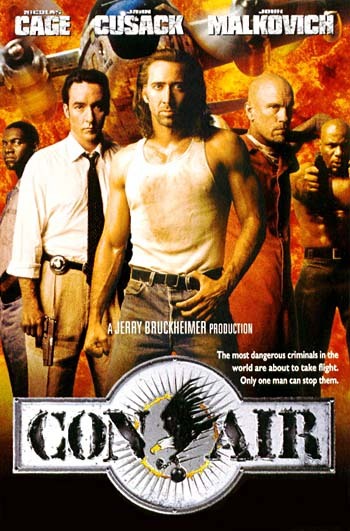 Nick Cage hasn’t done a prison movie since 1997, and I think we all know how well that went. “An exhibition of guns as art now in Mexico is making its way from Mexico to the United States, where many of the weapons presumably originated.” I think the ATF just set those guns free because they loved them so much, hoping that they would come back one day, thus reciprocating the love. I kind of feel like I’m gonna jinx this if I talk about it. “The tournament more notorious for poor goalkeeping, administrative nightmares and tragedy rather than high quality football.” This is just not true. You gotta pick your burdens more carefully.